I saw the trailer for Inside Out when I went to the theaters to watch Pitch Perfect 2. I was really intrigued because it seemed to be an animated children’s movie about emotions. It just seemed like such a cool concept. And fortunately, the movie delivered on a great execution too. It manages to take a serious topic and make it fun and entertaining while also retaining a poignant message: your experiences, whether happy or sad or fearful, shape who you are and there is no need to repress or hide any of those parts of you. Who you are is not just one event or emotion. Every piece should have its place in this jigsaw puzzle you call self. For me, it resonates because I always feel like something is wrong with me. That I shouldn’t feel sad or let sadness get to me. However, joy and sadness have to co-exist as fundamental parts of your personality in order to help you move through life and all its triumphs and trials. I think this movie will allow for some interesting conversations/discussions to open up between parents and kids. I laughed and cried as I journeyed with Joy and Sadness in this adventure. This is a great movie for both kids and adults. I would recommend checking it out if you’re heading for the movies this weekend. I think this sounds like my type of movie, you’ve definitely got me interested in it. 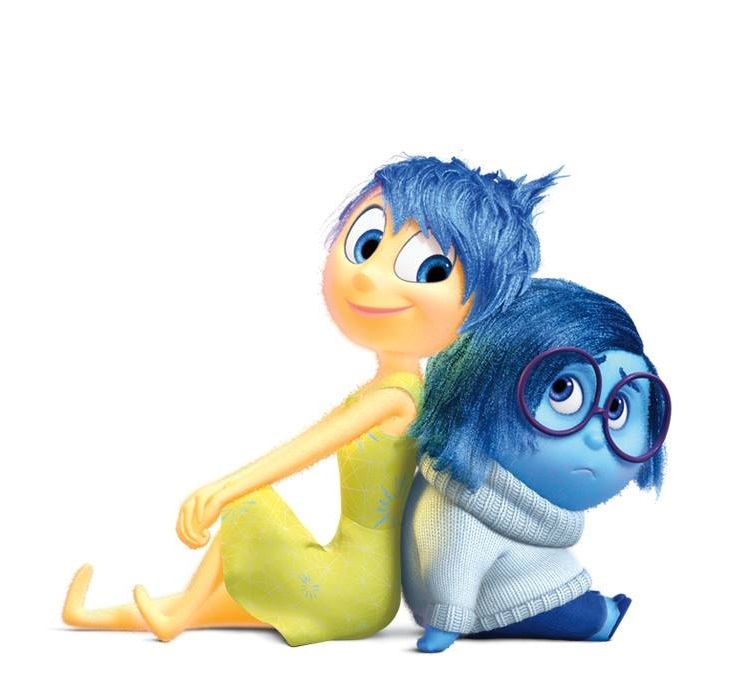 I was afraid by seeing the trailer it might be too sad of a movie, but it seems the message of the movie is something different and teaches you to accept the sad part of yourself along with the joyful side of yourself, that everyone has this and thats a really awesome comforting message.